The essential basics of the Mediterranean Diet include lots of exercise, unlimited vegetables and fruit and some red wine. 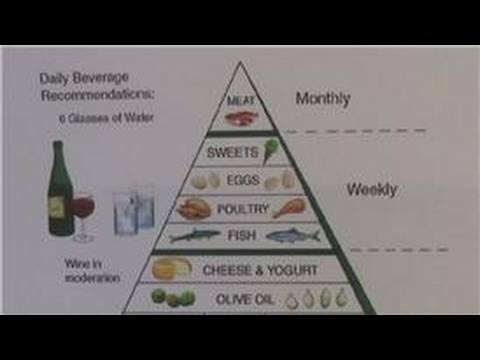 Experience the Mediterranean Diet with tips from a registered dietician in this free video on the Mediterranean Diet. Bio: Barb M. Mahlmeister is a registered dietitian and nutritionist. Series Description: The basics of healthy cooking and eating include lots of vegetables and fruits, whole grains, fiber and even a some red wine. Eat, drink and be healthy with diet tips and advice from a registered dietician in this free video series on healthy cooking.